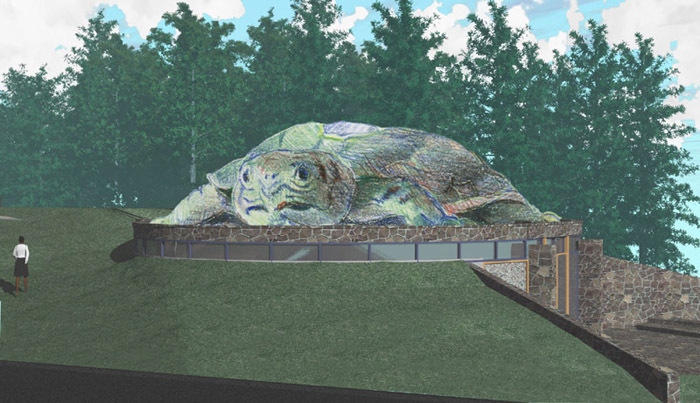 This addition to the tribe’s daycare facility was originally envisioned as a 60 foot long hyper-realistic snapping turtle with a classroom in each leg and an auditorium in the head. This is a view of the revised Cultural Center design with a scaled-down turtle atop a circular building built into the hillside. Note the interpolation of a hand-drawn element (the turtle) into the computer-generated rendering.